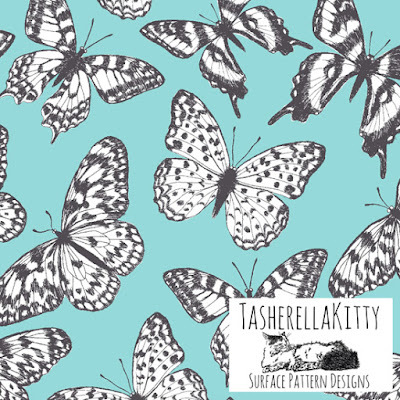 Our second Designer new to the Directory is Natasha Rowarth who has a background in designing prints for home textiles for a wide variety of UK high street stores and supermarkets. 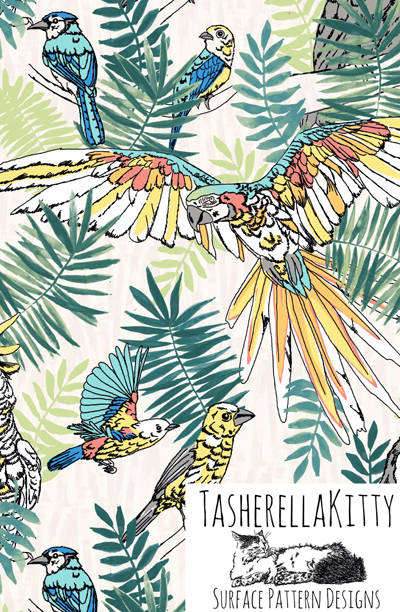 Known for her quirky ideas and braveness to try new ideas Natasha says her "greatest achievement was her Purrmaids design for Asda which was a huge hit!". 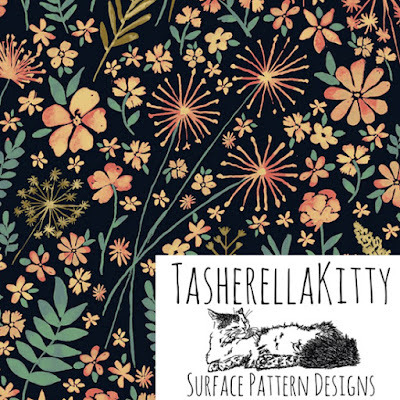 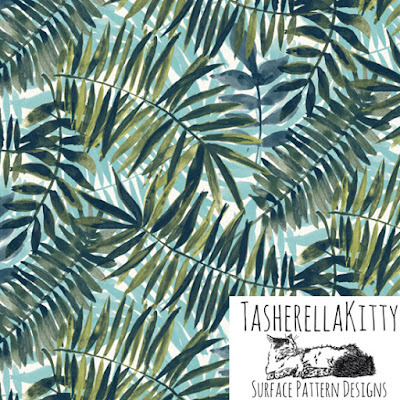 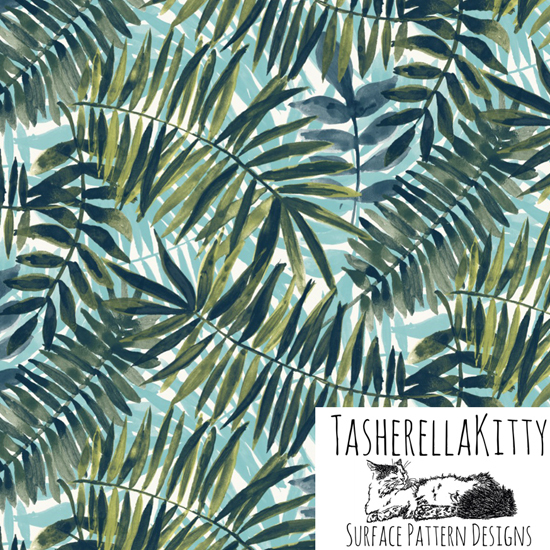 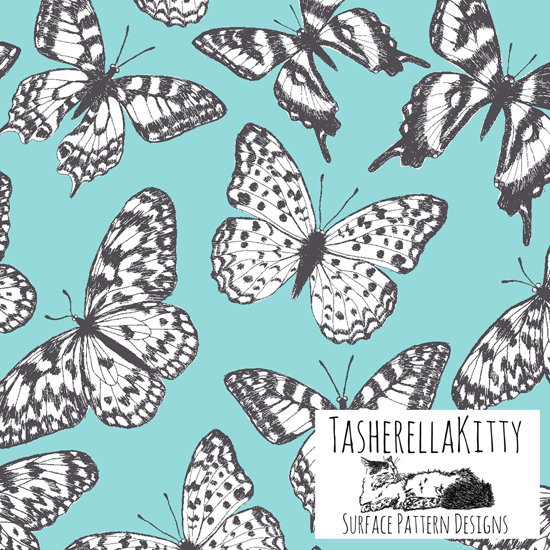 She has been freelancing for almost 2 years as TasherellaKitty Designs on a variety of projects and has just won this years Make it in Design Ultimate Portfolio Trade Show Competition and is looking forward to seeing where it takes her next! 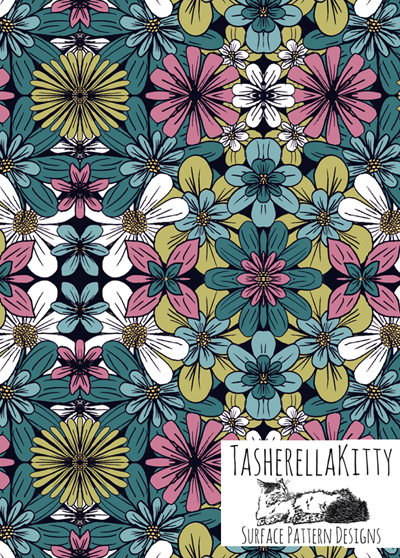 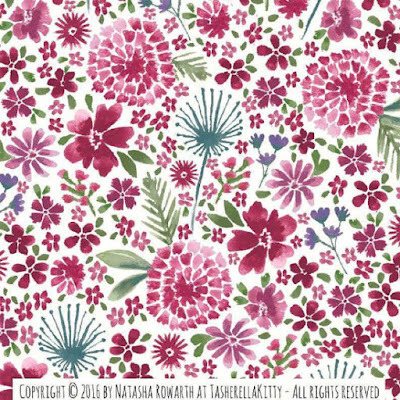 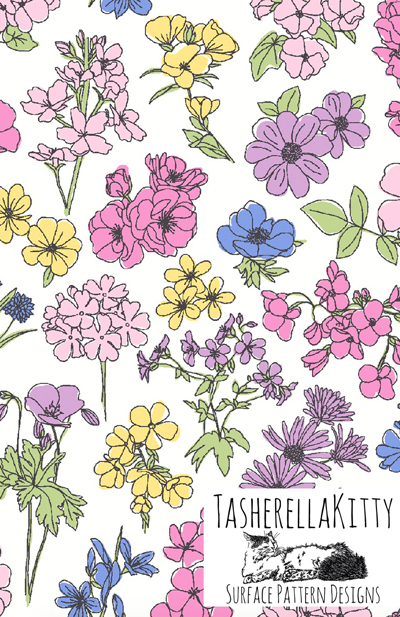 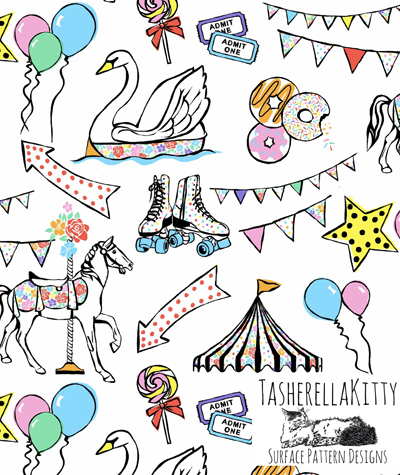 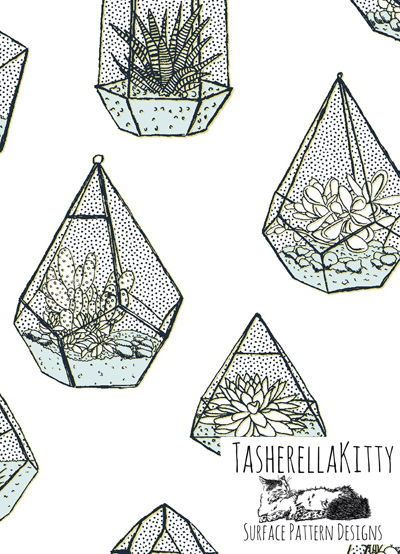 Natasha's style of work tends to be very detailed, and she loves intricate details and is drawn to busy patterns. 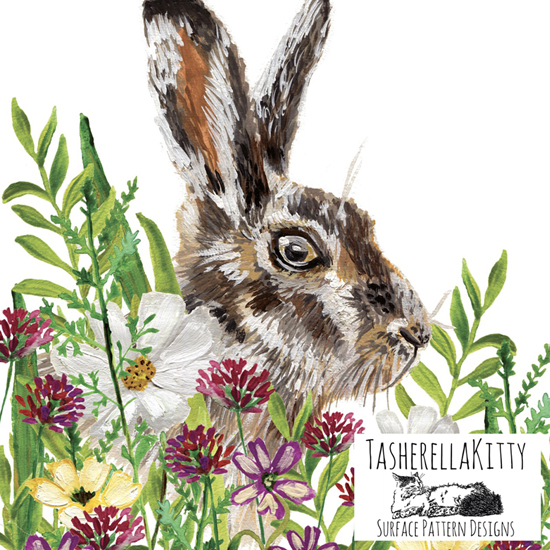 She hand draws her elements with fine liner pens and also paints with gouache before working with AVA software to produce print repeats. 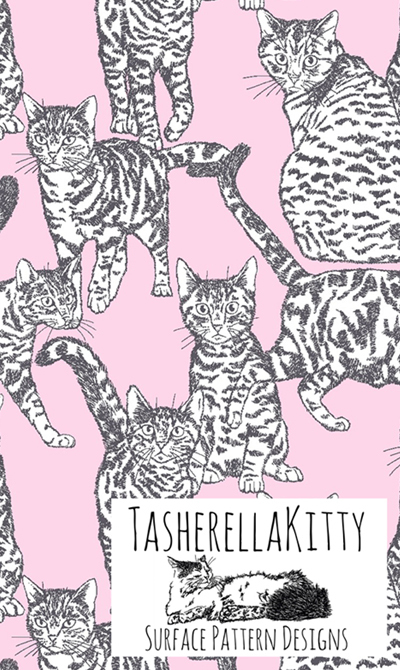 Natasha is happily available for freelance opportunities, commissions and licensing.